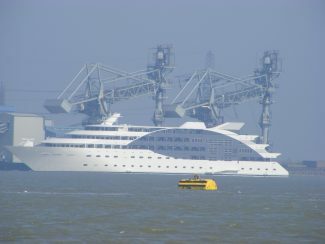 You are here: HomenextTransportnextTransport - shipsnextFloating hotel floats past Tilbury! A floating hotel sailed into the Thames Estuary on Tuesday April 1st 2014 after travelling from Holland. 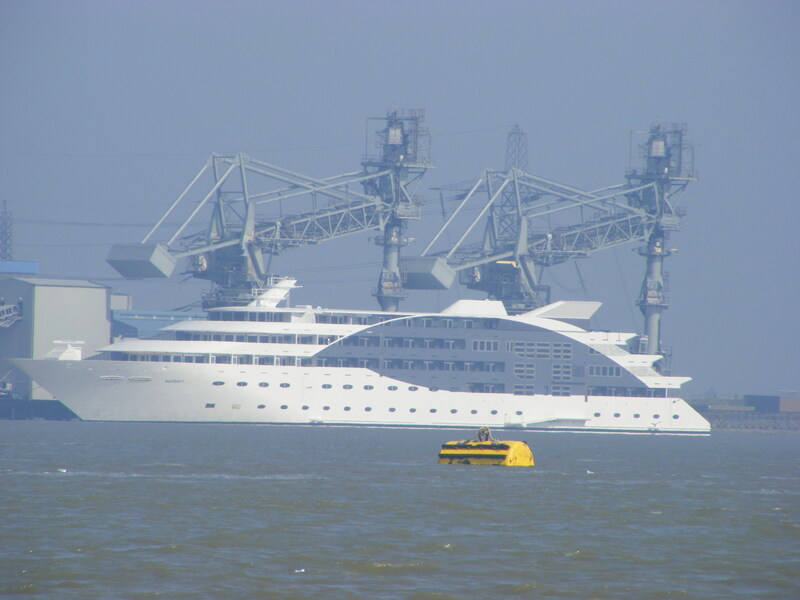 The Sunborn London Super Yacht Hotel was towed by tug boats past the Cruise Terminal in Tilbury, under the Queen Elizabeth II bridge in Dartford to a temporary berth.She will be moved to her new home in the Royal Victoria Docks for a grand opening on April 7th. Staying aboard the 120m (394ft) vessel is not as expensive as many high-end hotels in the capital. Prices start from £180 per night for the entry level rooms though it suites over five floors will be for those with rather deeper pockets! Double click for a closer look – thanks to Ray Hinton for the photo.